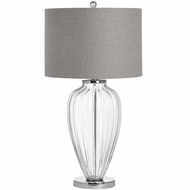 The Comoros Chrome Aberesque Table Lamp is a luxurious table lamp that will bring an element of sophistication and class to any home. 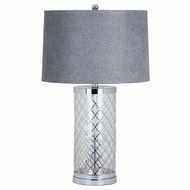 This lamp has been inspired by an arabesque design consisting of flowing lines while the silver finish adds an instant touch of glamour, luxury and grandeur to your home. 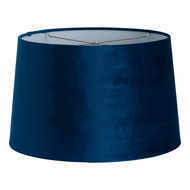 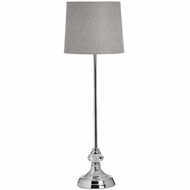 Sure to be an eye catcher in any home and any room, this lamp makes the perfect addition to a living room or bedroom.